Yoga and meditation are gaining popularity in the whole world. More and more people chose these practices to find a balance, relieve stress, treat anxiety and boost self-confidence. Recently, scientists have begun to study how meditation, yoga and other practices affect human's mind and behavior. For example, a few years ago, American neurophysiologists found that meditation rises the production of oxytocin in the human body and helps women fight inflammation after breast cancer surgery. Moreover, according to new research from Canada, just twenty-five minutes of yoga and meditation are able to boost brain function and help people cope with their emotions. In this article, we would like to tell you more about the effect of yoga and meditation on the brain. Are you interested? Scroll down to read this article right now. "Yoga and meditation both focus the brain's processing power on a limited number of targets like breathing and posing, and also decrease processing of unimportant information," - says Peter Hall from the Waterloo University. Three years ago, Japanese scientists conducted experiments on rats and found out that meditation can help people overcome drug or alcohol dependencies. 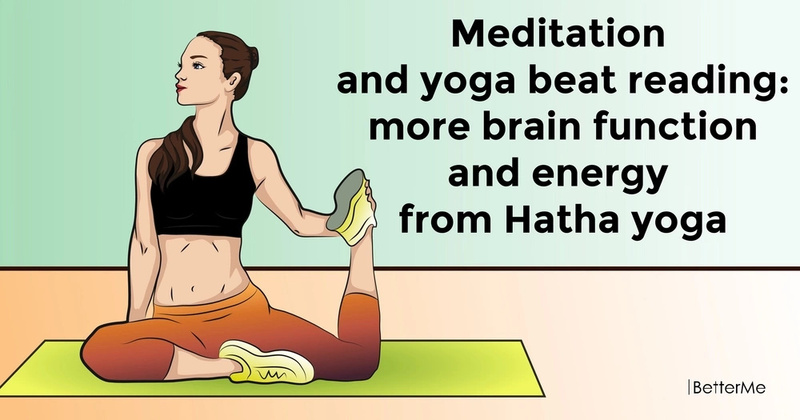 These studies made Hall and his colleagues think that meditation can significantly change brain function and make it more resistant to stress. In order to test this idea, the researchers found thirty-one volunteers who had been doing yoga or meditation for a long time to practice three sessions of yoga, meditation and reading. The researchers found that the volunteers significantly enhanced their performing function scores after yoga practice and meditation practice compared with the reading. Moreover, the scientists noticed that meditation and yoga affected the mood of the participants and made them feel more energetic and active. "We still don't know why meditation and yoga may increase energy levels and boost brain function. The reason for this may be an raised production of endorphins, and increased brain blood flow, as well as the suppression of "negative" thoughts," adds Kimberly Luu, Hall's colleague.